Question – You have been discussing many matters recently with the political and religious leadership of the Sinhalese. Sometimes your views seem to have angered these leaders. The Tamil leadership is worried whether your utterances would prevent the Sinhala leadership from granting even the meagre powers they are willing to grant presently. What have you got to say? Response – Good question! But whoever told you that the Sinhalese leaders are ready to grant anything to you. What is the back ground to the Sinhalese leadership usurping our legitimate rights and now saying we will give you so much and not anymore and so on? We must be clear in our minds of one thing. A person like the UN Official Pablo de Grief is aware of this matter. But it is a pity that our Tamil leadership has failed to recognize this. What I mean is that the Sinhalese political and religious leadership is not interested in sharing power with the Tamils. If they were interested they would have at least granted by now what they publicly undertook before the International Fora. For example even eight years after the war the Prevention of Terrorism (Temporary Provisions) Act has not been withdrawn. What do you expect from those who have not kept their word in this regard even? Even if the Sinhalese leadership condescends to grant some powers to the Tamils it will wriggle out of its obligations in no time. What happened to the Banda-Chelva Pact and Dudley-Chelva Pact and such other Agreements would be reenacted again or what happened to the North –East merger after 18 years would happen belatedly. You may ask me as to why I am so pessimistic about the Sinhalese leadership. The reason is traceable to the fundamental cause that led to the racial contradictions in this country. The Sinhalese leaders are zealously guarding the political powers they clinched from the British in whatsoever manner they did. It is their reluctance to share such power which is the fundamental cause for our communal impasse. There is a misapprehension that has engulfed the Sinhalese political leadership. They feel that what has been obtained by in whatsoever dubious means if shared would lead to the destruction of the entire Sinhalese Buddhist race. Hence they would try to jealously guard their political hegemony over the entire country. In a legal sense it is ideal for every racial, religious or linguistic group living contiguously to govern themselves in their respective areas. While doing so they could consider the entire country as theirs and set up an appropriate shared government. But the Sinhalese Buddhists are reluctant to do so. The reason trotted out by them is that this the only country available to them while the Tamils have Tamil Nadu in India for themselves. What that means is because there is a Tamil Nadu in the neighbouring country the progeny of those Dravidians who lived in this country even before the genesis of the Sinhala language should go away to Tamil Nadu or if they wish to continue residing here they should conform to the dictates of the Sinhalese. In effect their political philosophy appears to be “Tamils leave us! If not prepare to live under our yoke”. But preferring not to be so blunt in saying so they prefer to articulate such noble sentiments such as “we will give you that” and “we will give you this” delaying giving anything. It would be pertinent at this stage to examine what exactly they would give us. They would not give anything which would adversely affect the political stranglehold exercised by themselves so far. They would not grant a legally sensible or lawfully expected power sharing of any acceptable nature. If so, why should we be pampering them? After all our Tamil leaders are asking them right or wrong give us what the Sinhalese leadership is intending or interested in granting us. Why a hesitation in that too? While preparing our political election manifestos we find out what our people want and accordingly prepare them. But once we are elected we are seeking the goodwill of others. May be we feel such goodwill might give us some favourable results! It is my view such hopes are misplaced. That is, what we had enshrined in our election manifestos as matters truly reflecting the aspirations of our people would never ever be granted. To expect some morsel of food to fall out from their plates for our survival would be foolish. Even if they allow some crumbs to fall from their plates they too would be withdrawn in due course. Your next question in this regard would be how would you like to fight for your rights? Firstly Tamils must unite. During the Tsunami the Liberation Tigers and the Army for just a few days joined together as brothers to do service to the affected people. Thus when our continued existence in the North and East is in jeopardy we must wake up to unite. Those living in the North and East, Upcountry, Colombo and else where in Sri Lanka must unite. They must be united in their thoughts. This request is not directed against our Sinhalese brethren. 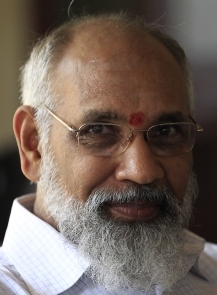 It is a thought in favor of the Tamils to bring unity among us, divided as we are. 2. Next our diaspora must be called upon to co –operate with us. 3. Thirdly our Tamil brethren in South India must join hands in this process of bringing unity among us all. Just as how the Jews wheresoever situate in this world contributed to unity among themselves so too we should join in this process of unity. If we voice our concerns in unity the International Fora will listen to us. 4. Next we must correct the false history of the Tamils portrayed to the world so far by the Sinhalese Buddhists. We should educate the Sinhalese leaders as to the true state of our history. For example we should point out that the Dravidians lived in this Isle even prior to the genesis of the Sinhalese language, that the persons who first converted to Buddhism in this Island were the Tamils who lived in the North and East and the Buddhist archeological remains found in North and East today belong to those Demala Baudhayo and not to Sinhala Baudhayo. It must be pointed out that the Sinhalese Buddhists did never ever live in the North and East as a majority community at any stage. 5. The International pressure politically should mount too. We must try to obtain our rights under the International Laws. At the same time it is desirable that we must enlist the support of our Sinhalese brethren who are supportive of our causes to bring about change in the thinking of our Buddhist Sinhalese leaders. Granting internal self determination to the Tamils, they must be told, does not bring any disadvantages to the Sinhala Buddhists but only advantages. This must be pointed out to them. But fundamentally the change must come over among us Tamils. We must discard our arrogance and haughty tendencies. We must come forward to work for our people in unity and earnest. We show regard, respect and fear to an uneducated armed Sinhalese soldier but when it comes to our loving educated Tamil brothers we exhibit competitive feelings and jealousy towards them. Living together in unity seems to be such a difficult task as far as our Tamil Community is concerned. More specially those who identify themselves as belonging to the upper strata of our society must undergo transformation. We must get used to treating every person as our brethren. We have already lost a considerable number of our people to foreign climes and distant lands when we are embarking upon this journey of restoration of our rights. As it is our education is in the doldrums . There is a shortage of skilled workers among us. Persons from outside our Province are being brought here by the government granting them our traditional lands and making them colonize these areas. So where are we journeying to? What is our present situation? We should think about this state of affairs very closely. Then we would realize the need for unity to some extent. Where there is a will there is a way. It is not difficult to unite. We must unite at least in our fundamentals. Therefore my humble request is not to wait to find out what the Sinhalese political and religious leaders would grant us. Join in earnest and make a request for what is legitimately ours. Make the claim in an undivided voice.